Hydroswing® hydraulic door systems are manufactured to the highest standards in the industry. Hydroswing® single panel doors are fabricated and welded to ISO 9001 and American Welding Society D1.1 certifications and each is stringently audited for strength and quality assurance. The Hydroswing® is always pre hung in its own frame of tube steel. 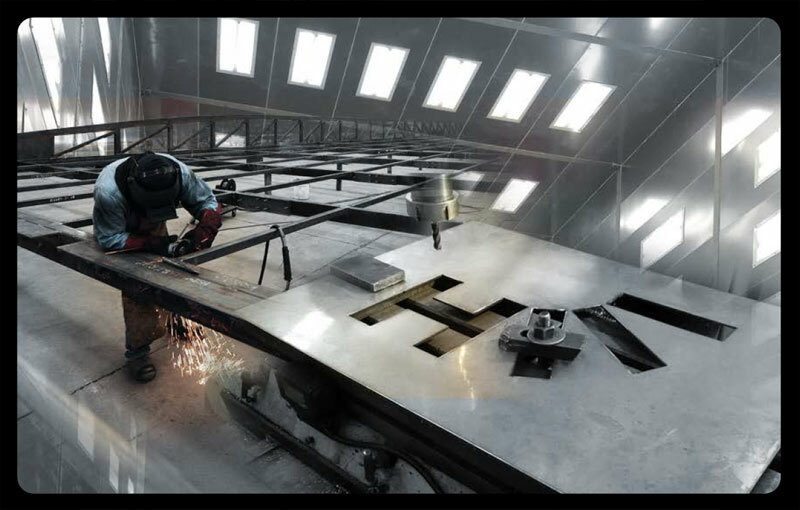 Unlike inferior products on the market, the Hydroswing® is an industry leader in post fabrication shot blasting. We use a Carboline Carboguard 890 Epoxy paint finish with a certificate of conformance being supplied with each door to ensure the integrity of this work. The Hydroswing® is operated by two dual-acting hydraulic rams powered by a single or three-phase motor and pump, and all of our electrical controls are UL Certified. This in itself provides an extra layer of safety because the Hydroswing® is impossible to operate without access to the control unit, making it far more secure than other types of doors. Cost effective, safe, and accommodating in sizes up to 150'(45.0 m) wide X 40'(12.0 m) high, our hydraulic door system is being retrofitted in everything from commercial aviation facilities and private airplane and helicopter hangars to barns, agricultural centers, sheds and machine shops. 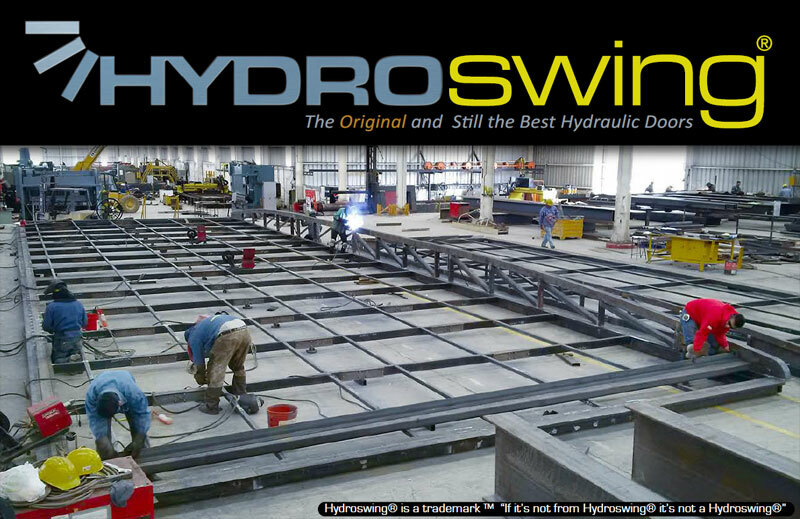 At Hydroswing® We Build it Right!